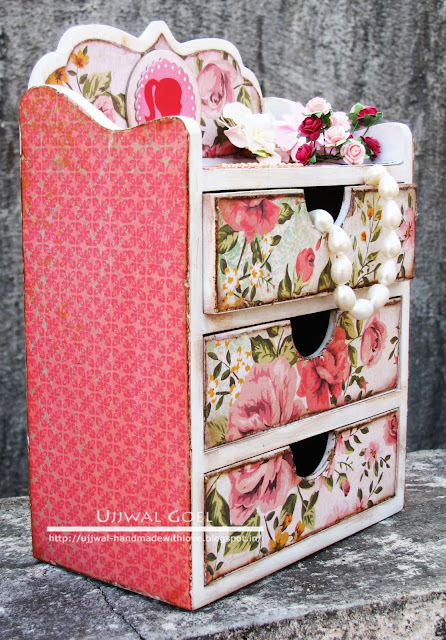 And one of the things I love, I mean absolutely love from the new range of products is the chest of drawers. 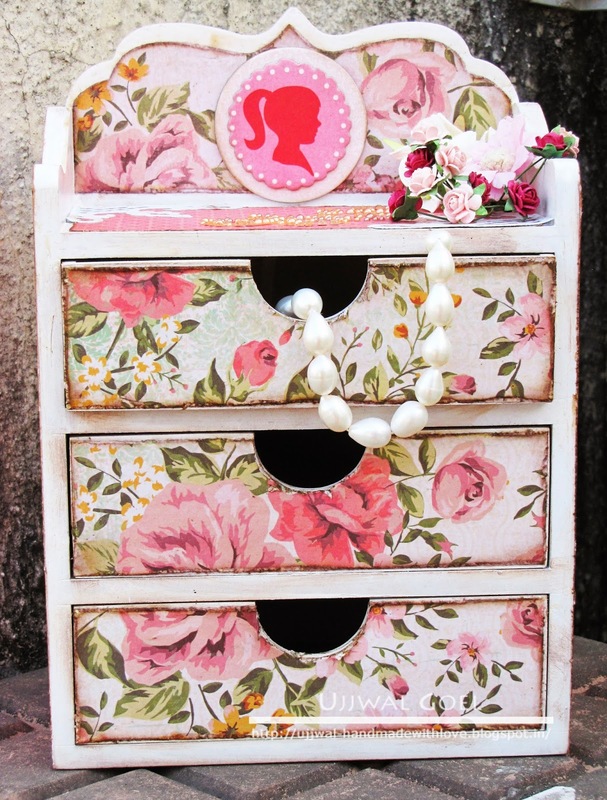 These chest of drawers are available in 2 sizes and are not only great to decorate but have utility too. Craftslane also stocks these fabulous paper flowers and they were perfect for my vintage theme :) I also added some rhinestone swirls by Prima on the top and Craftslane has a lot of variety of swirls from Kaisercraft to choose from. I sealed everything with Mod Podge (Satin) finish which is a great varnish to seal projects like this for durability. Have a fabulous weekend ahead my friends! Floral Key Tags with Heartfelt Creations ! 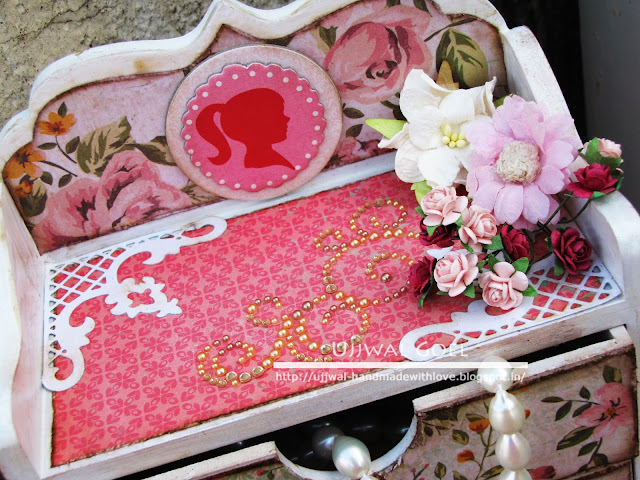 Heartfelt Creations Floral Key Collection !